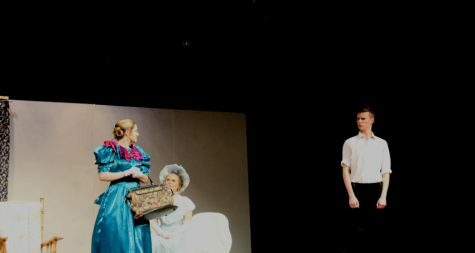 After a successful fall performance, the drama department looks forward to many more directed by the new theater teacher. 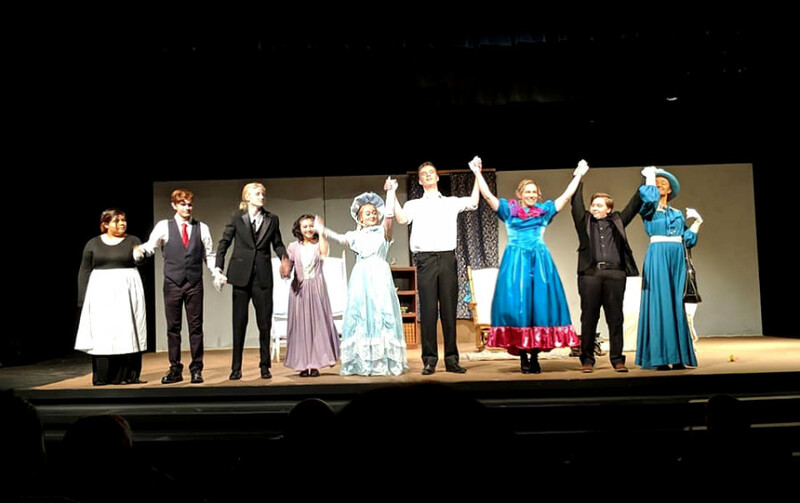 Central Kitsap High School theater showcased its last fall play in the Southworth auditorium, “The Importance of Being Earnest,” on Nov. 8, 9, and 10. This witty satire makes subtle critique of high society and explores the nature of personal identity. 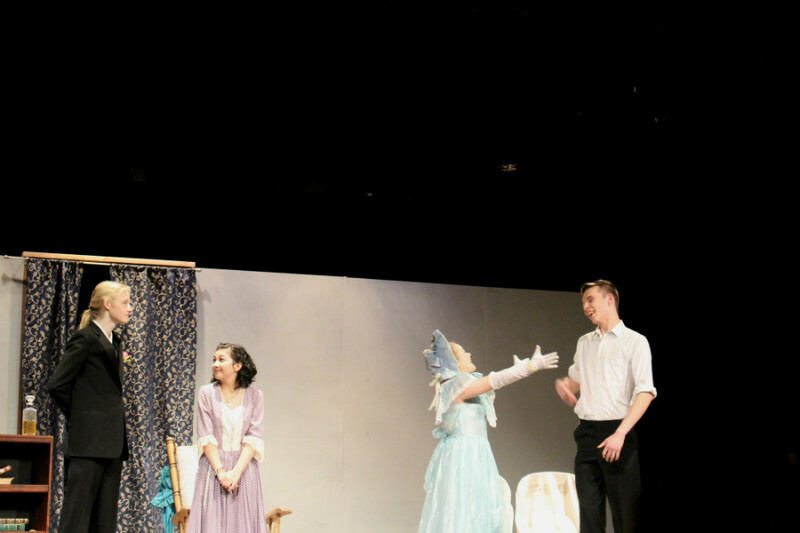 Directed by Zachariah Timm, the school’s new drama teacher from Montana, the performance displayed a realistic yet simple set and blocking placed emphasis instead on the lines themselves. 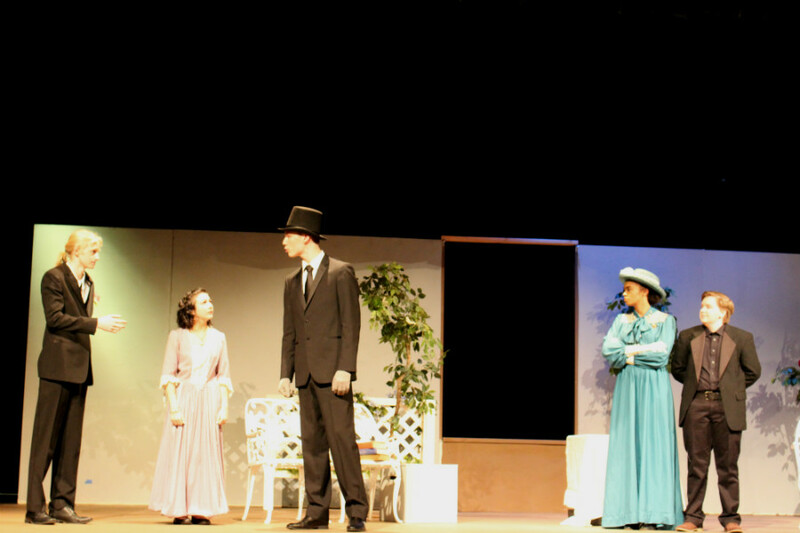 “The Importance of Being Earnest” follows friends Jack Worthing (Everett Thompson) and Algernon Moncrieff (Andre Alvarado) who each, at some point in the play, claim that their names are Earnest. This leads them both to live a double life, and causes some confusion when two young ladies claim that they are engaged to a man named Earnest. Gwendolyn (Abby Power) grimly considers that “Earnest” may not have been as earnest as she expected. 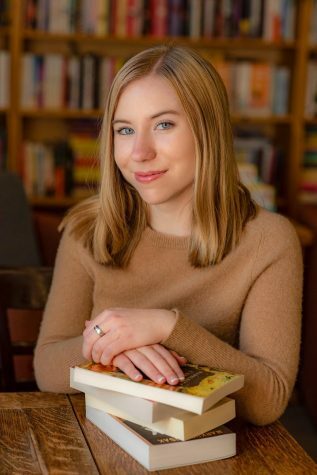 Junior Abby Power played the role of Gwendolyn, the woman whom Jack Worthing proposes to under the name of Earnest. She enjoyed the part, saying “I have never portrayed a character like Gwendolyn before so it was a bit of a challenge, but I’m happy with how it all turned out!” Power has many experiences to compare with, as this is the seventh theater production she’s acted in. The cast ended the show with an overall sense of pride and confidence in their performance. For Alvarado, it was the first play he’s been involved in, but he felt his theater debut went well. “I think I was able to express my character well,” he said. When asked if he planned on acting in more plays this year, he noted that while his commitment to Sailing team might conflict with the spring show, he hopes to perform on stage again this winter. 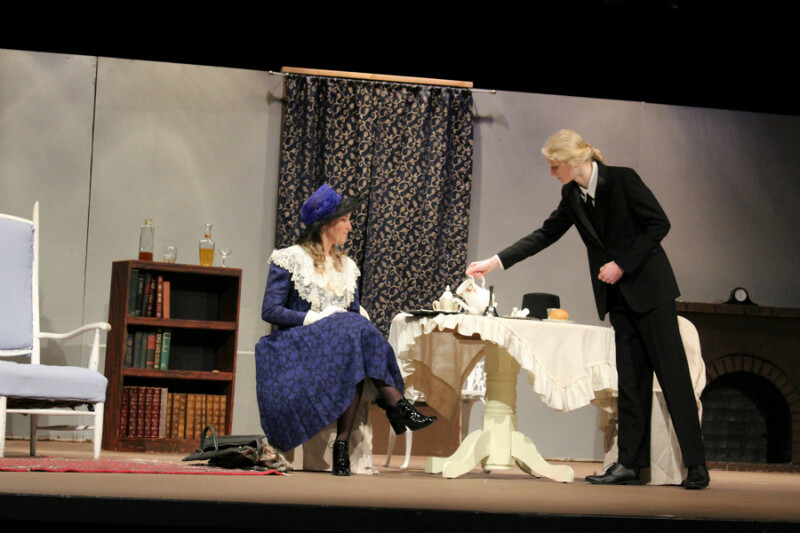 Algernon (Andre Alvarado) pours tea for his Aunt, Lady Bracknell (Makailee Gemmer) with required familial politeness. In the spring, CKHS does a series of short skits directed by students and showcases them as “Spring fest.” Often, the works performed are also written by students. Thompson said he plans on directing a play in the spring for a second year. 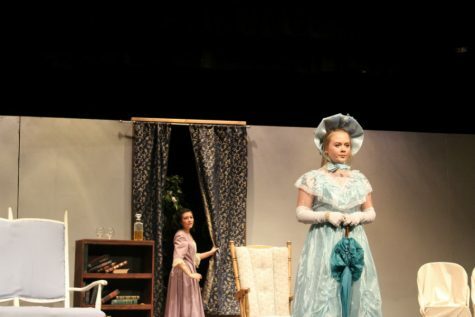 The theater department has several plans for the rest of the year following the fall production. 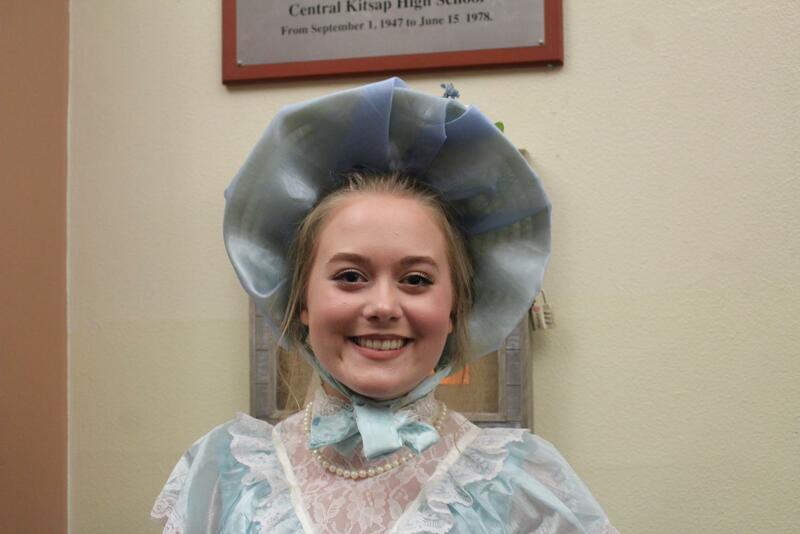 “In between now and the next show, we’re trying to do more as a thespian society,” says Timm. 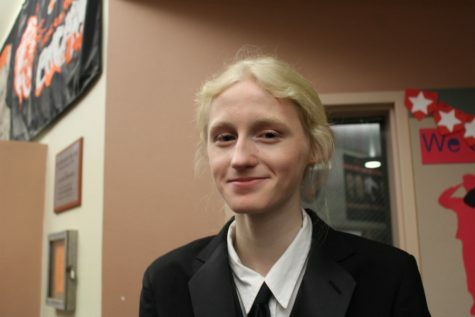 For example, he hopes that the group will be able to watch an adaptation of a play to film after Thanksgiving break. 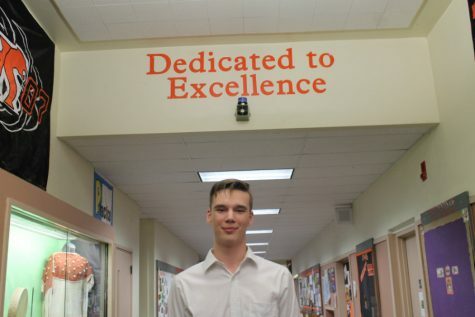 He’s also interested in bringing the drama department into the community more, and performing outside of the school theater. Auditions will be held for the next play in January, and Timm anticipates that drama club will be more active later in the year. 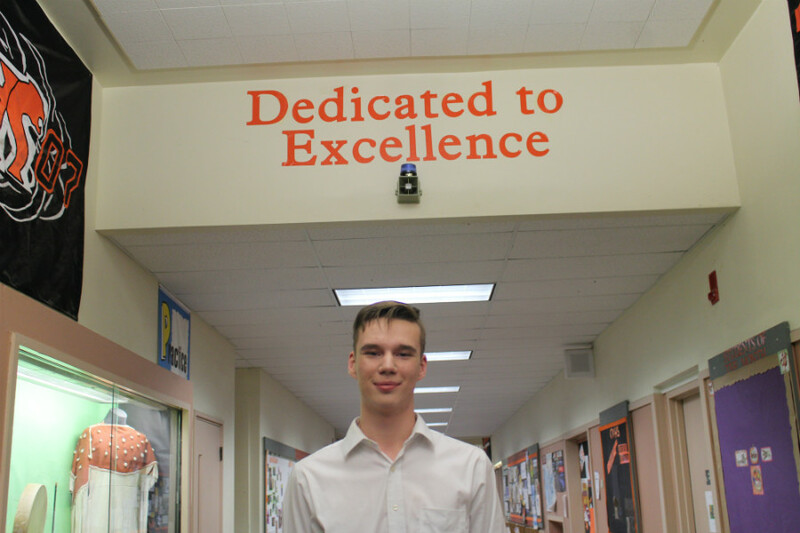 Timm’s main goal for the drama department is “setting the tone for a sustainable culture that’s positive and inclusive.” He hopes to build the program and reach out to more students. “Drama can really appeal to anyone whether you’re a performer, or a technician,” he said, “there’s really a place for everybody.” Timm also notes that while he’s been careful to honor previous theater traditions, he’s trying to start some of his own. On condition of Jack legally changing his name to Earnest, Gwendolyn accepts his proposal. Lady Bracknell attempts to intervene in the engagement of her daughter. Alvarado and Thompson both emphasized the importance of focused characterization. According to Thompson, “the times when you best act is when you forget about everything else, the specifics of your lines and the audience and the blocking…and it just becomes part of your character. You do it on instinct.” Alvarado added that when onstage, apologies are not necessary–just courage. Special thanks to Andre Alvarado. 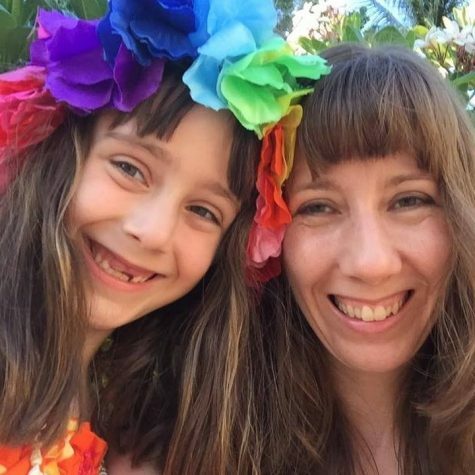 And a final thanks to Abby Power, for participation in the creation of this article.